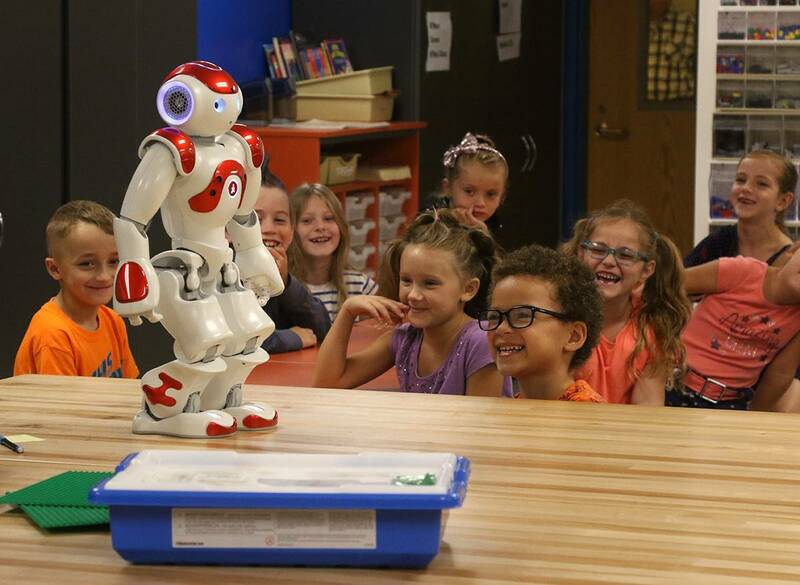 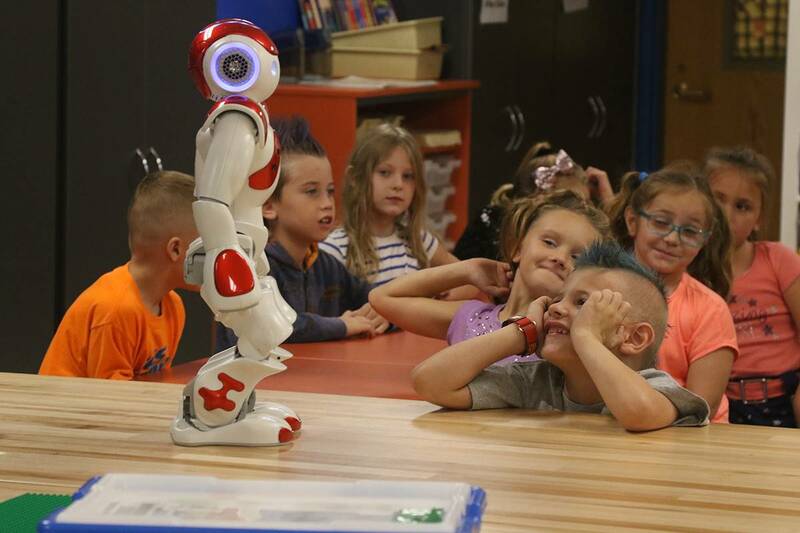 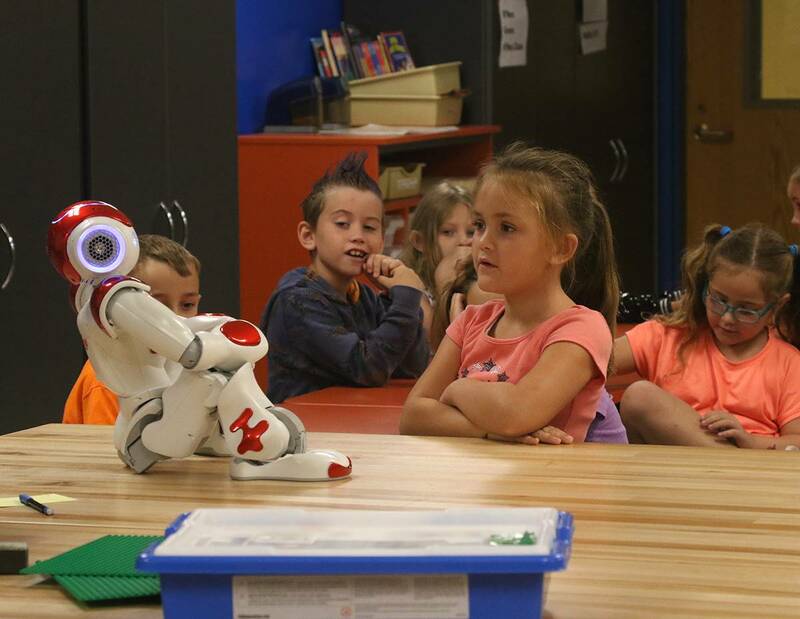 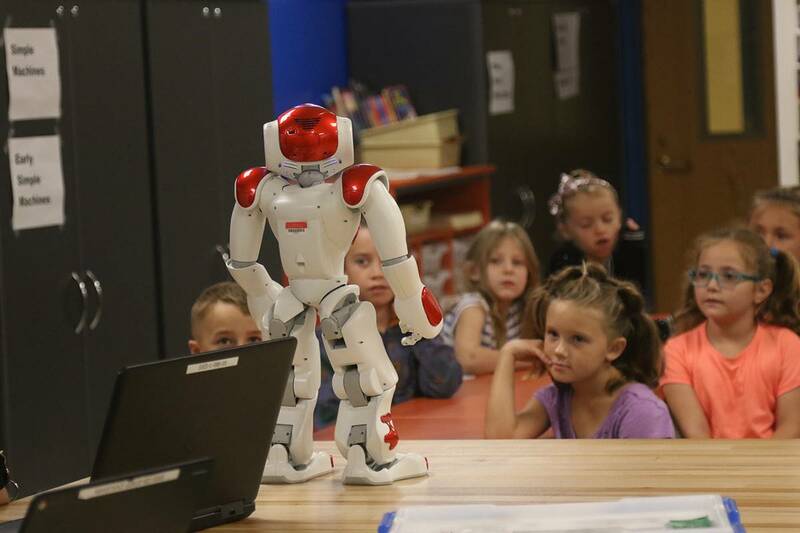 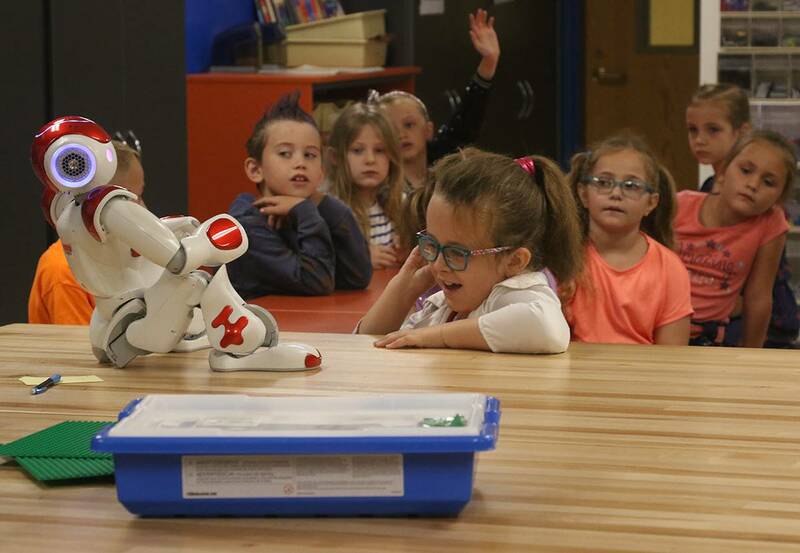 Sid, the NAO robot (pronounced NOW) who lives at the Sidney Central School District, as a “get-to-know” experience with the second grade each year. 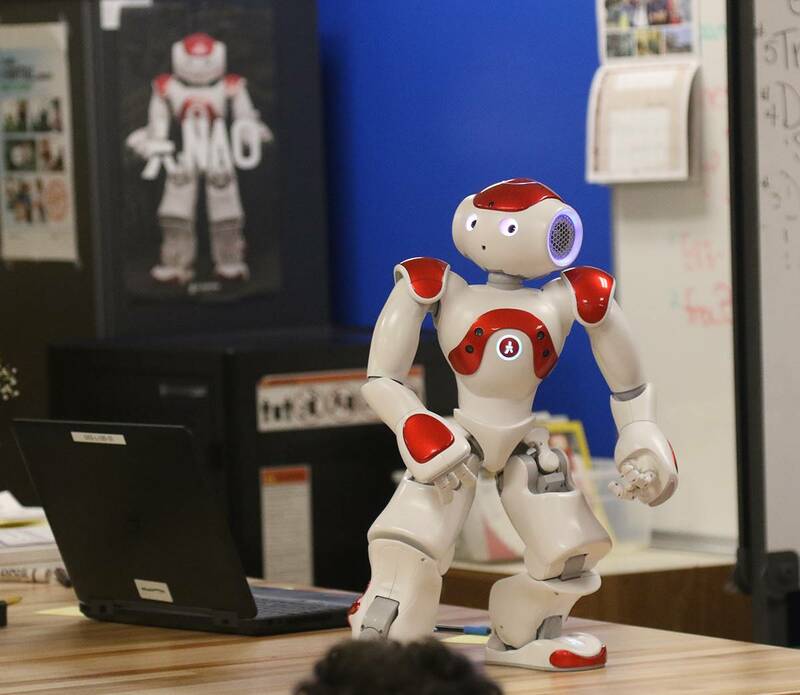 Sid starts the event in his autonomous program, which he can interact with basic pre-programming to engage participants. 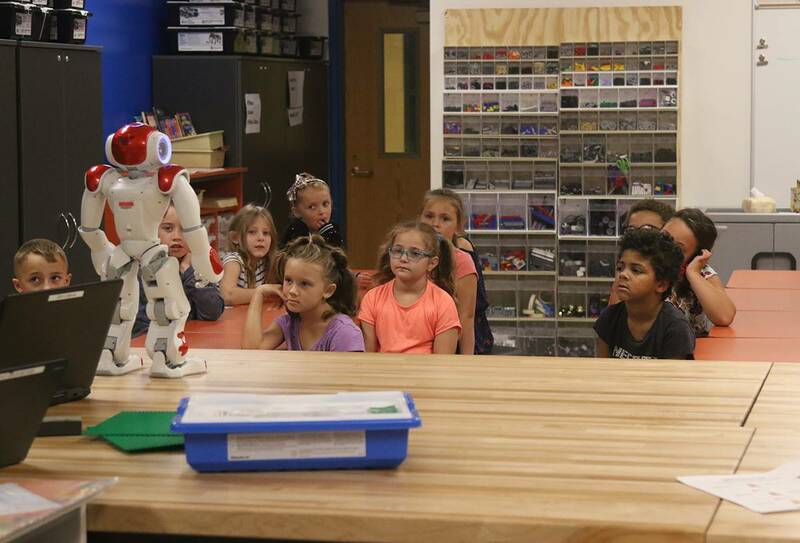 Next, a program is run to showcase some of his abilities of the robot. 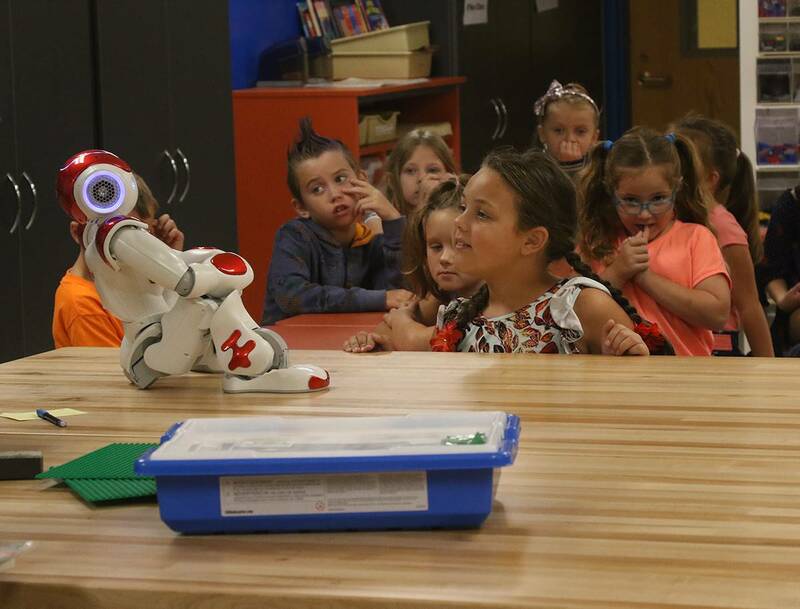 By that time, students are enchanted by the robot. 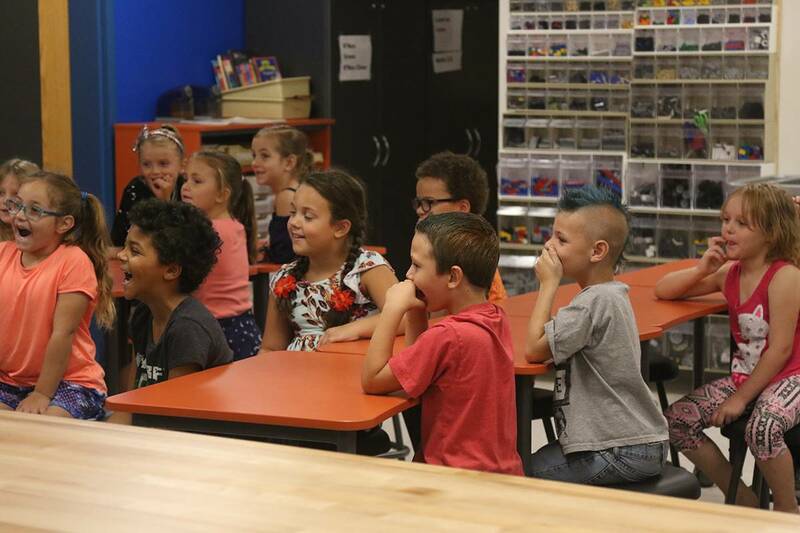 Some are nervous, but most are intrigued. 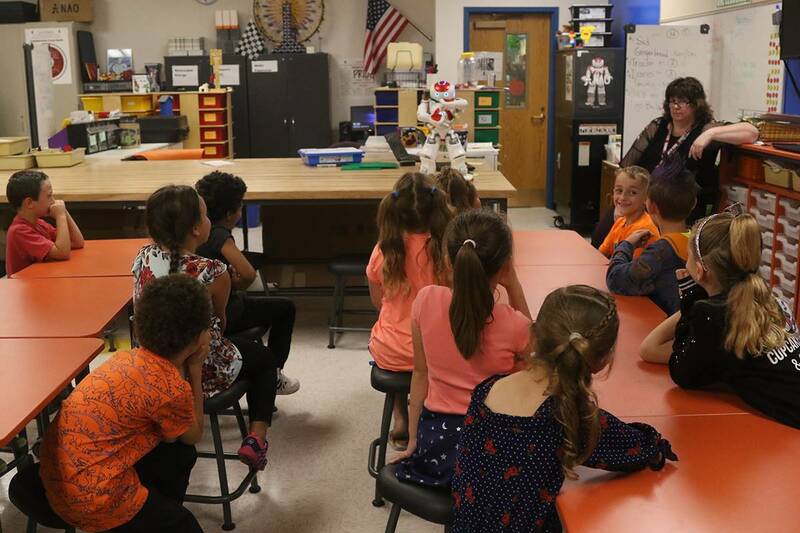 Students are encouraged to come and ask their questions. 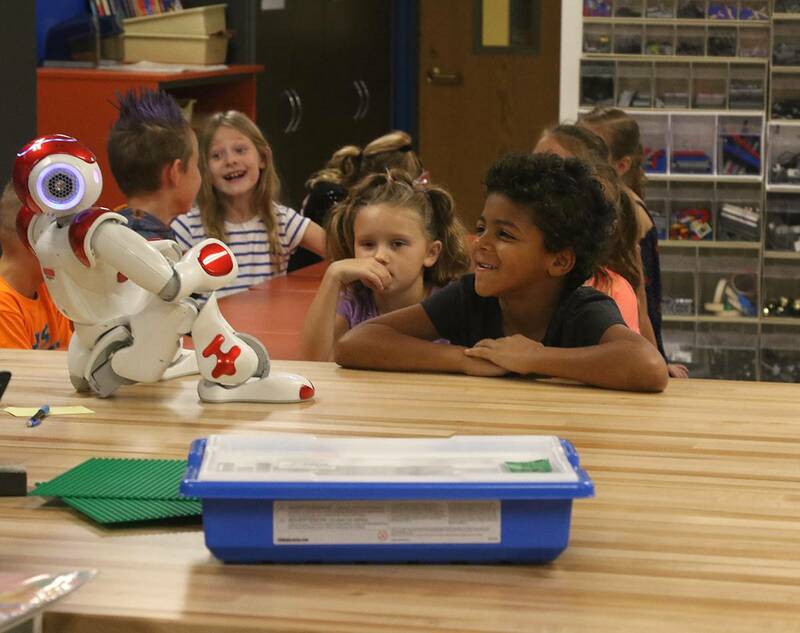 The students introduce themselves, which also helps robotics teacher Deb Vaughan to learn about the students, and then ask Sid their question. 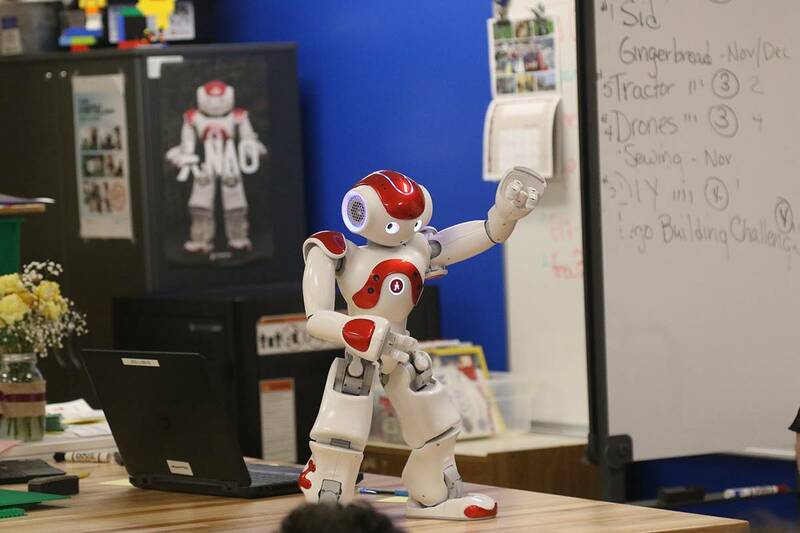 During the Q&A session, he’ll demonstrate abilities as appropriate. 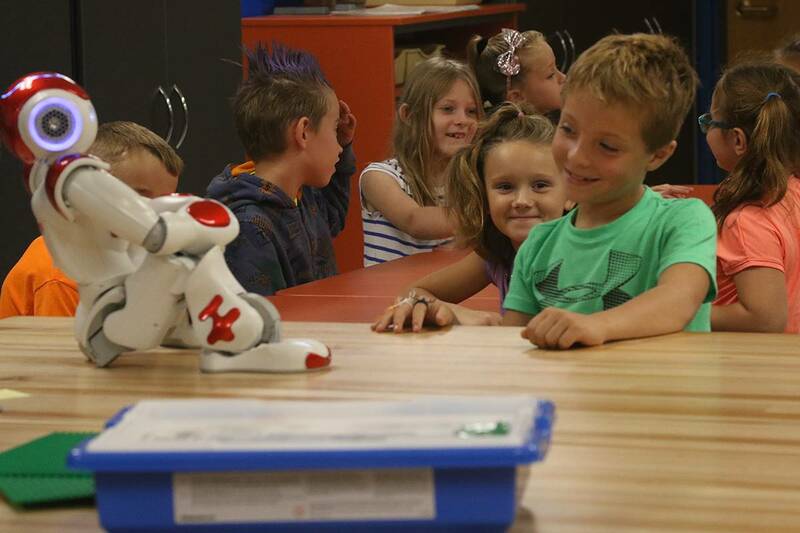 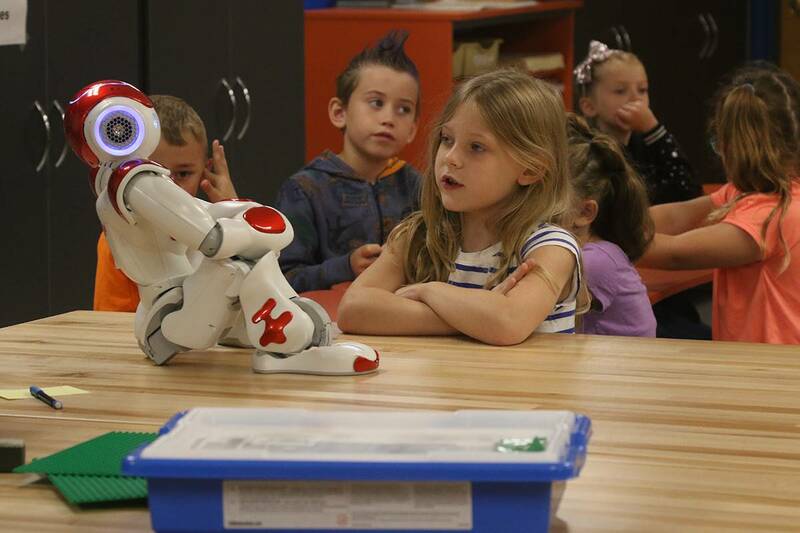 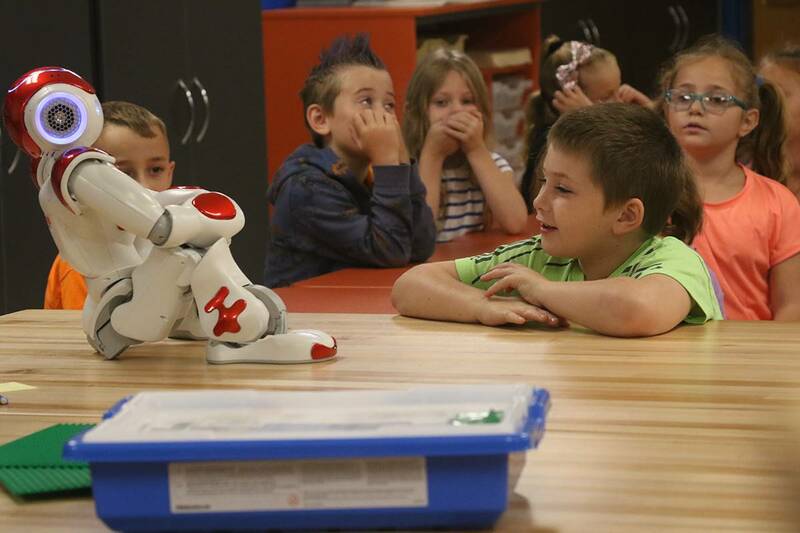 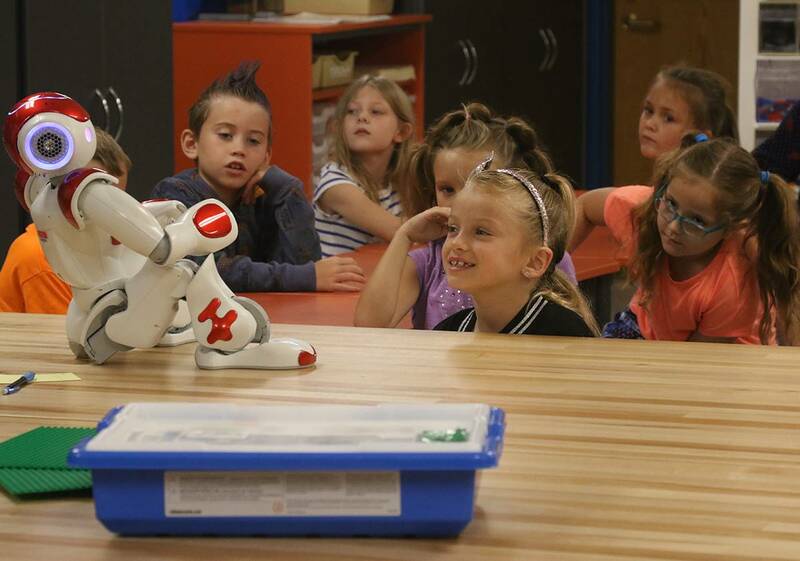 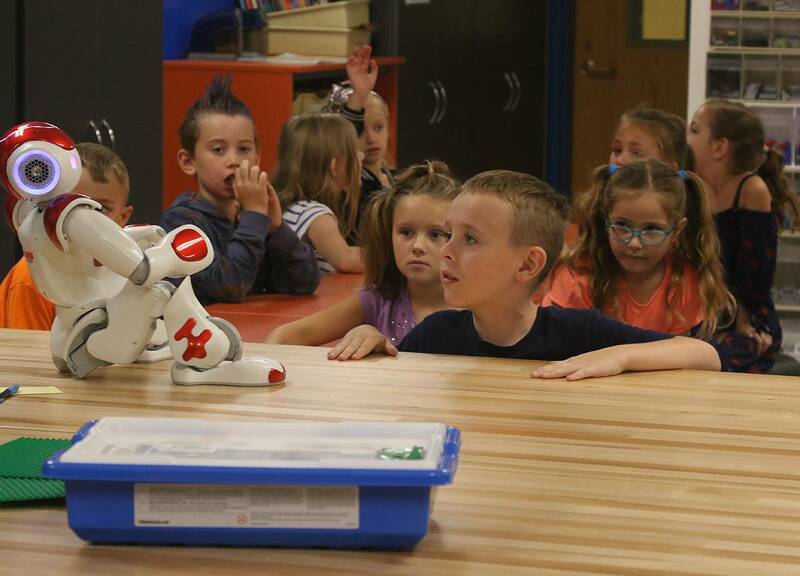 In later grades, students learn about the different applications of this type of robot, which includes marketing, medical, educational, and security. 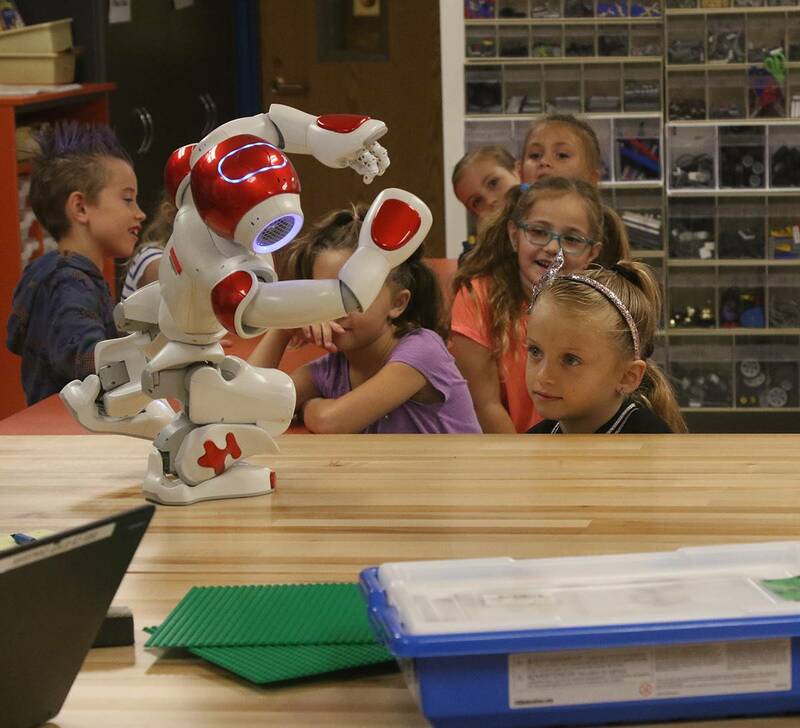 Students will then develop programs that can be utilized in a school setting – such as a study buddy or greeter. 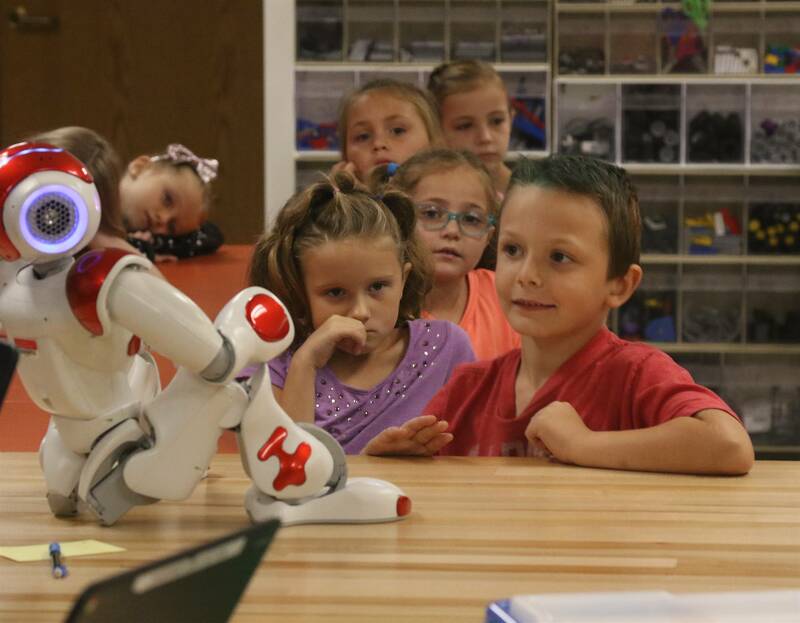 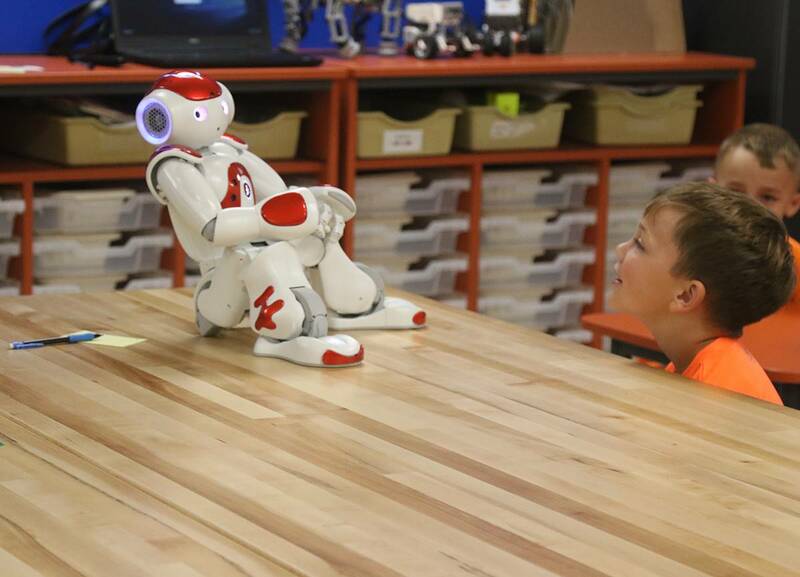 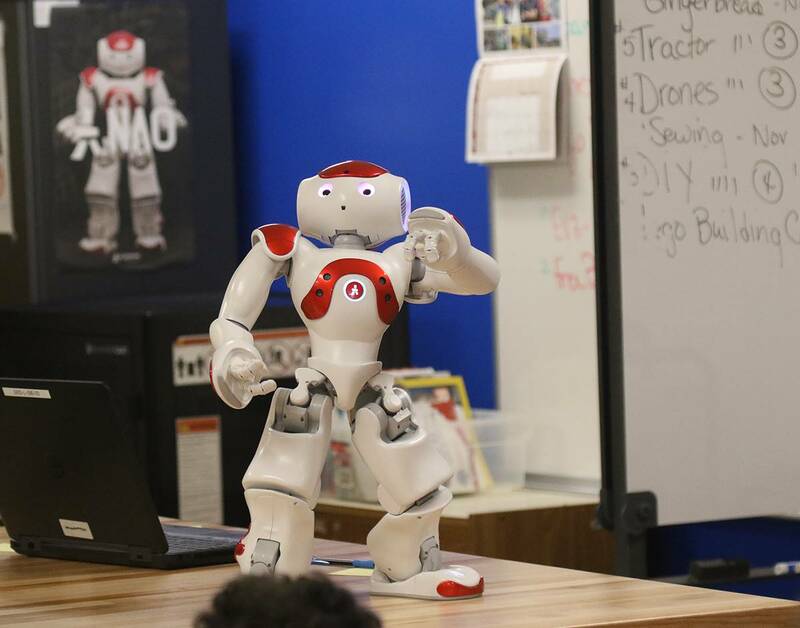 Vaughan noted the district is waiting for the addition of two additional NAO robots to assist in student projects. 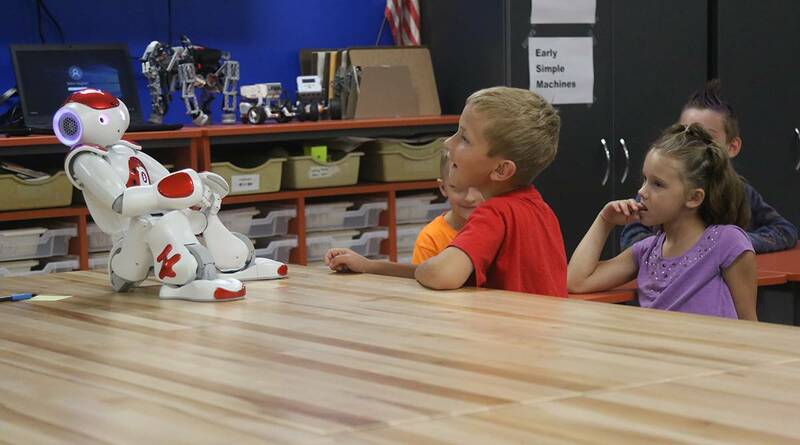 The robots will enhance the robotics program as they help students build connections and engage in active learning opportunities. 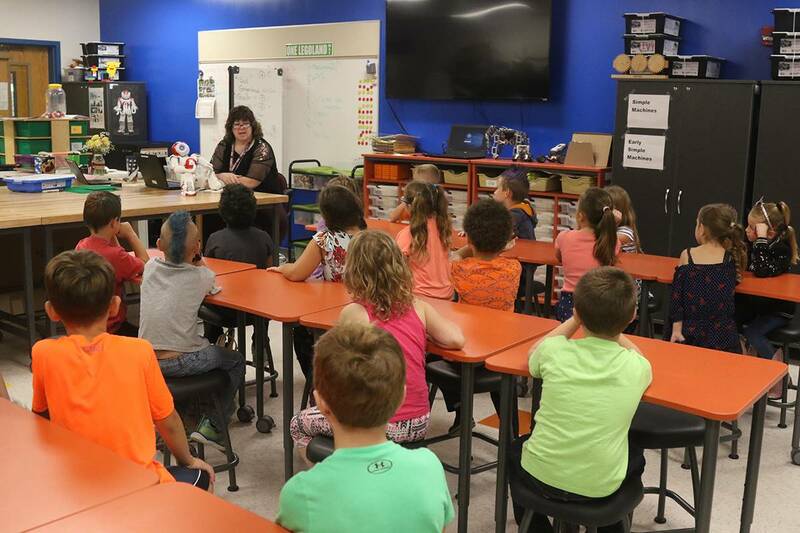 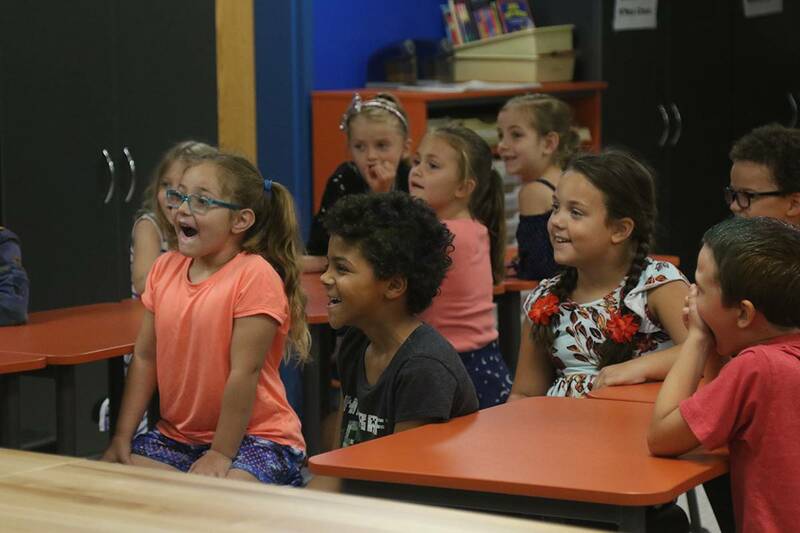 In the past, students have developed programs that further engage the younger students, such as the program in which Sid read a book and asked students comprehension questions. 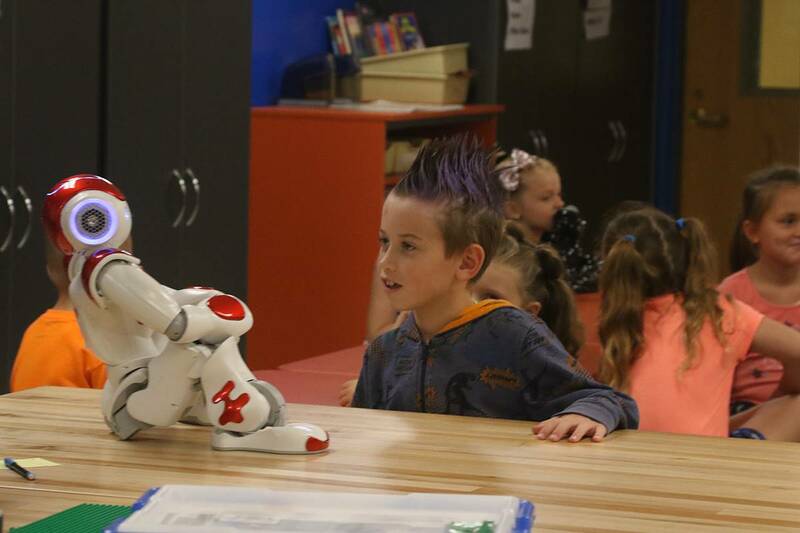 To see a gallery of Sid interacting with one of Sidney’s second-grade classes, please see the gallery below.